A Stoke-on-Trent electro-mechanical engineering company has increased customer awareness after teaming up with Google business tour practitioners at the Capture Factory. And the project to showcase Fletcher Moorland’s Stoke headquarters led to a trip to Norway for Capture Factory Director Richard Dodd. “Our Google indoor business tours are often used by hospitality clients to spotlight their venues but the Fletcher Moorland project was a bit different,” said Richard of Leek. “Fletcher Moorland’s Managing Director Matt Fletcher, told us that customers were always impressed by a tour of their engineering facilities but, with a global client base, it wasn’t always possible to show people around. “The Google indoor street view for business tour, guides people through the Stoke service centre and the feedback from Matt has been excellent. The Capture Factory has recently invested in a WiFi enabled, dual lens, 360-degree camera which is fully compatible with mobile technology. Fletcher Moorland provides a one-stop source for industrial equipment repair and servicing. The Stoke service centre is open and manned 24 hours a day, every day of the week, and supports UK and International companies with their equipment maintenance and breakdown needs. Matt Fletcher commented: “We work with customers all over the world, many of who will never visit our Stoke based premises. The Google business tour allows us to show the scale of our operation and demonstrates that we operate a well ordered and efficient business. “The Capture Factory covered the whole of our 30,000 sq.ft. facility with the tour. Importantly. There was no interruption to our day to day business. Our marketing is about building confidence and reputation and the Google tour from the Capture Factory is part of that. A Google business tour is able to “walk” online visitors through the front door of a business and then showcase the whole property. 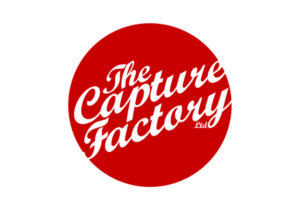 The Capture Factory provides business tours to a wide variety of businesses from industry through to hospitality, for example, showcasing wedding venues and holiday cottages. It is just one of the full suite of digital marketing services provided by the Leek-based business.